Laserfiche has a 12th man. With Super Bowl XLVIII in the near future and Empower 2014 in the near past, I can’t help but draw connections between the two events. I’m not implying that Laserfiche can sell out a 60,000 capacity stadium or that its employees tackle each other for promotions—but we do have some NFL-level super fans. 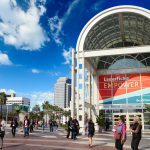 Empower 2014 was my first Laserfiche conference. I expected to meet business and technology professionals who were there to learn more about Laserfiche and take that information back to the office. I wanted to take this opportunity to thank three “super fans” I met at Empower 2014 who inspired me with their enthusiasm and loyalty to Laserfiche. Even though I had never met Joy, I recognized her the second she walked into the Info Center. Joy caught my attention months ago on Facebook, where she shares her love of Laserfiche on almost a weekly basis. Before she could even take her bags to her hotel room, Joy had acquired an “I love Laserfiche” shirt and the leading role in a Laserfiche-produced Vine video. When I pitched the video concept, she agreed without hesitation. I thought to myself, “Joy’s either really excited or really jet lagged.” Luckily, it was the former. Joy set the tone for my Empower experience. I felt comfortable approaching other attendees after getting a boost of confidence from this rockin’ records manager. Claire Maurer, Girard Securities, Inc.
Claire was the first user at Empower 2014 to recognize me based on my Laserfiche blog posts. When she asked if I had written the post on standing desks, I was over the moon. I knew people read my posts, but I had always seen them as numbers in a report—here was a real person who could give me valuable feedback! Then Claire told me her entire office decided to switch to standing desks after reading that post. Claire and her colleagues didn’t just read the ECM Blog—they implemented it. My exchange with Claire reaffirmed my role as a Laserfiche writer. I may not be coding software, but I am positively influencing the Laserfiche community in another way—and I wouldn’t have realized this without meeting Claire. So happy to meet @punsmarter at #empower14 today – the inspiration behind our new office standing desks! The @laserfiche blog saves lives! P.S. 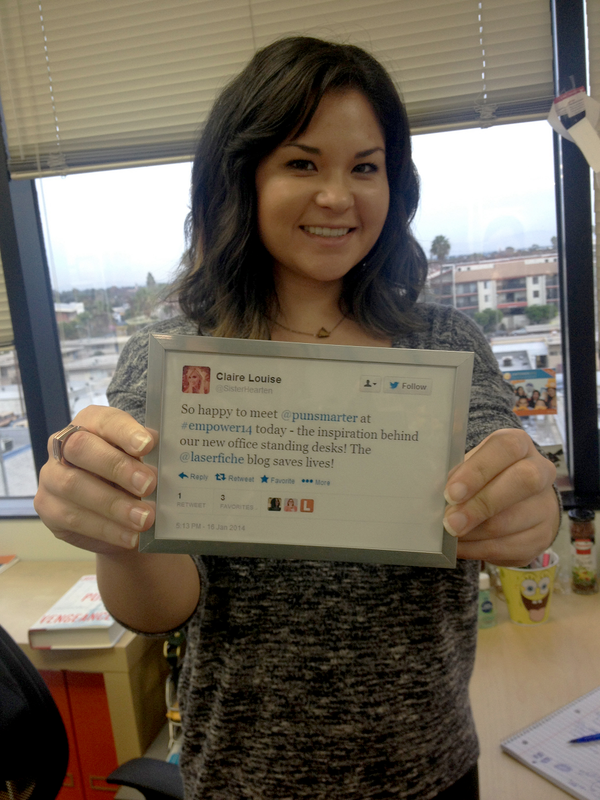 – I told Claire I’d frame her tweet—I was not kidding. As if one fan wasn’t enough, Tony turned out to be another supporter of the ECM blog’s focus on office health. 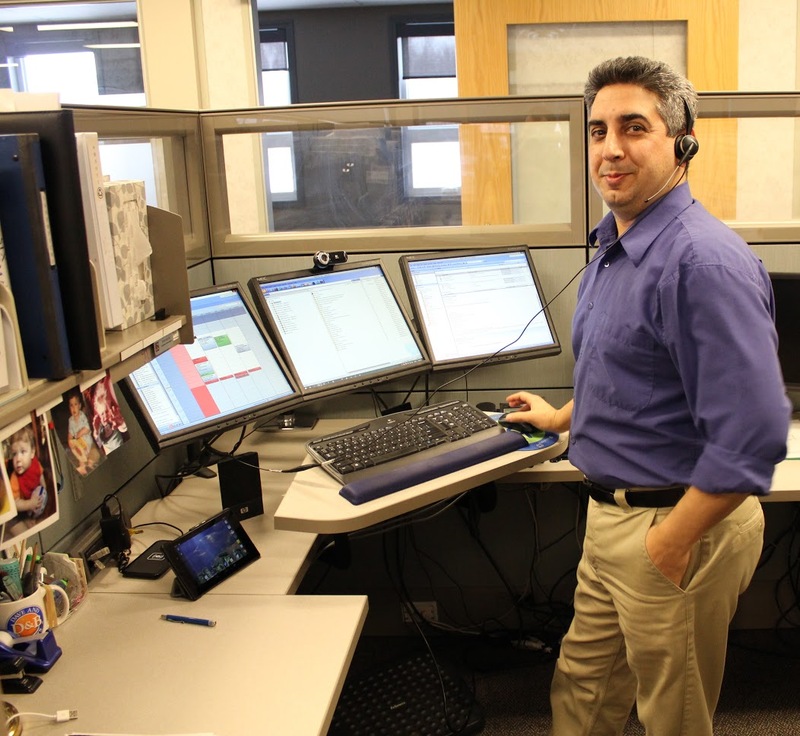 Within his own organization, Tony advocates standing desks, outdoor activities, PRSI software and proper monitor settings to reduce eye strain. Is that a Laserfiche repository I see on the center screen? Since Empower 2014 has ended, Tony has shared photos of his office set-up (as seen above), feedback on the conference (we couldn’t agree more about adding change management classes) and, of course, his enthusiasm for all things Laserfiche. 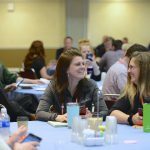 As a first-time attendee, I thought I would get a few connections on LinkedIn—not friendships. Tony proved to me that “networking” isn’t always self-serving behavior, but a chance to meet interesting people I would otherwise never encounter. These three individuals made a special mark on my Empower experience, but I’d also like to thank everyone at Empower 2014 for bringing that 12th man energy. I hope to meet more of you next year!